Hi!!! 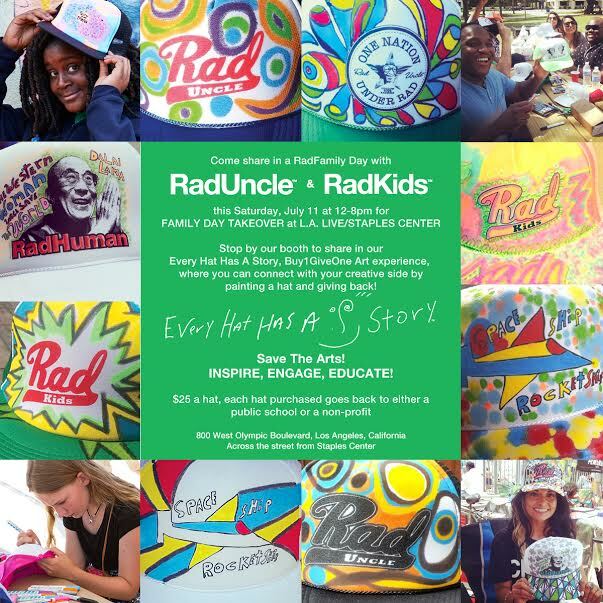 Come on down to LA Live/Staples Center In Downtown, Los Angeles This Saturday And Paint A Custom One Of A Kind Walking Billboard Of RadNess And Get Yourself And Your Family All Geared Up For The Rad Summer!! !